If you would like to make a donation to the Pearl Project, please send a check made payable to "Georgetown University." 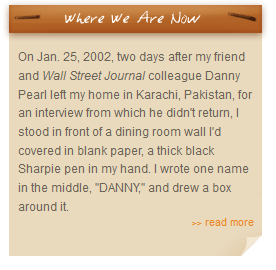 In the memo line of the check, please write "Pearl Project." If your company or organization would like to make a matching gift, please send your donation along with the proper paperwork from your company or organization to complete the matching donation. We will have the Georgetown University Office of Advancement send you a receipt that will provide proof of our 501c3 status.